Published on 1 October 2011. If you misinterpret “Topshop Southport is closed” to mean that the entire town is closed, you’re probably too dim to be allowed to shop anyway. 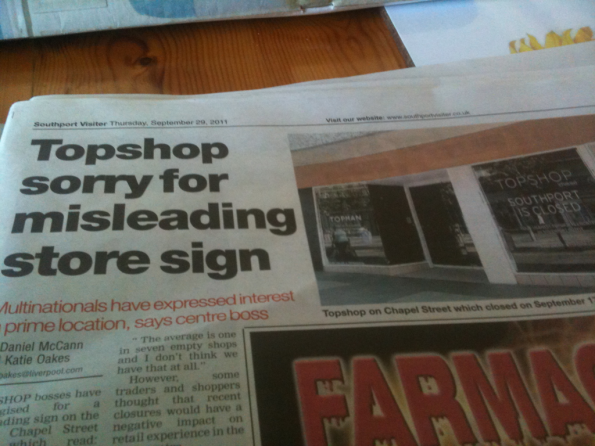 It’s sad when a local paper feels the need to use a full page to publicise the locals’ inability to interpret “Topshop’s standard store closure poster”. This 1,448th post was filed under: Photos, Retail, Southport, The Southport Visiter, Topshop.